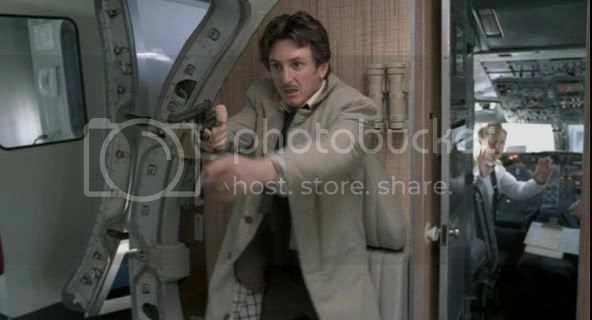 Sean Penn is not a star, he's an actor. 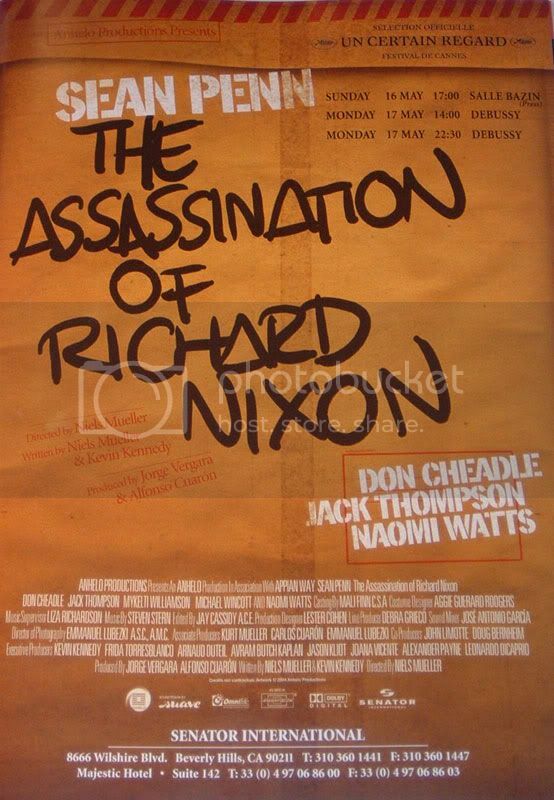 In The Assasination on Richard Nixon, again, he plays another offbeat character, this time a disgruntled salesman off to show the world his point by attempting to assassinate then President Nixon. Of course we all know that Nixon never got killed but suffered a worse fate of becoming the most hated president of the United States. Assasination focuses on Samuel J. Bicke, father of three who is separated from his wife (Naomi Watts) and a reluctant furniture salesman. It focuses on Bicke's degeneration into desparation as that nothing ever goes well for him both socially and professionally. Despite his best efforts he is being put down by a government system that looms over him like a dark cloud and is keeping him from reaching the stars. he later realizes that the main root of his suffering is the incumbent leader of the system causing his suffering, who also happens to be the leader of the free world. Assasination is first and foremost, a character study. This movie cannot avoid to be compared to Scorsese's Taxi Driver. Its a chronicle of a man reacting to his environment. Its like looking into a lab rat in a maze. As Bicke tries desparately to figure out how to resolve his predicament we see him lose touch with what's real, and Penn delivers this in absolute perfection. Watts shines as the resentful ex wife Marie, who we know thinks secretly that her husband isn't really good enough for her even though she entertains her husband's silly ideas out of decency. Don Cheadle is 'da man', as he usually is as the even-minded best friend Bonny who sticks with Bicke through thick and thin. The movie has a gritty realistic feel. Alfonso Cuaron, Leonardo Di Caprio and Alexander Payne helm the producers chairs on this one and lounge on them, if I may say so myself. This movie was well taken care of in the hands of director Niels Mueller. Penn's performance in not as spectacular as in I Am Sam, nor as dramatic as in Mystic River. Its just, well, it's own thing. It's amazing how Penn just jumps into such diverse characters in such a short span of films. I saw I Am Sam and Assasintion almost back to back, I swear, what I saw were two different actors. Who cares if he can be an a-hole sometimes. Who cares if he gets offended and lashes immediately on offensive comments (Remember the Team America brouhaha and the Oscar 2005/Jude Law thing? ), he is everything an actor should be and a lot of actors can only dream to be as good as he is. This movie is very much well worth your buck. Penn never dissapoints!